Join our 3rd annual event to heal smiles and save lives! 8pm - Tactical Brewing Co.
Pre-order your event t-shirts today! ​No purchase is necessary to participate, but we encourage all participants to purchase an event T-shirt on-line to wear during the event. All T-shirt proceeds will go to support Sharing Smiles. There will be a cash bar at each establishment, which will be donating a portion of their sales to our signature charity event. Information on t-shirt pick-up will be made available in early 2019, or you will be able to pick up your shirts at the event. Our first Shamrock Stroll for Smiles on March 11, 2017 helped heal not just one but 55 smiles! 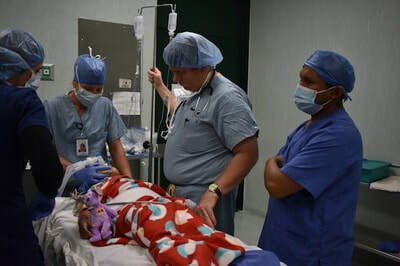 The funds raised were used by Florida Hospital's Sharing Smiles program to provide onsite medical supplies and medication for 55 surgeries in Merida, Mexico. 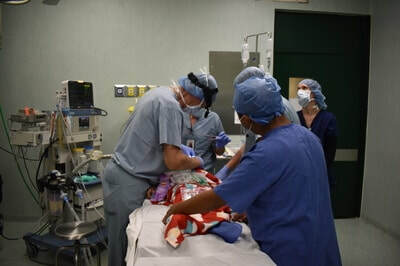 The Rotary Club of the Parks also donated 82 Beanie Babies, which are their signature gift to the surgery patients to help provide comfort.